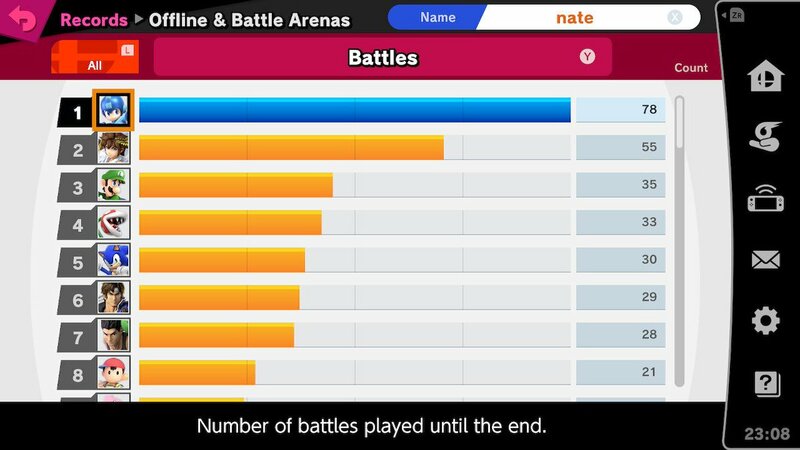 I really don't have any "mains" yet, since 80% of my play time has been in Battle Arenas with friends, and 90% of the time I go with Random. I wish I could see a distribution across the whole cast in one screen, because it has a very gradual drop from the top. But I'm hoping I can make it work with Sonic and/or Mega Man this time around. I really want to have fun with my classic blue buds. Luckily they're both more fun to play this time around, especially Sonic, who isn't as encouraged to just spin-dash back and forth anymore. He definitely struggles against projectiles, but he's got the mobility to eventually get in. And Mega Man is just so versatile. I’m so terrified to use Piranha Plant in anything but vanilla Smash Mode. Don’t wanna lose my precious data! It's just a caribbean/steel guitar sound to give it that tropical feel! SpongeBob didn't invent the steel guitar! I was, too, but I don't think the issue is that widespread. Just back up to the cloud, disable automatic backup, and go to town! I used PP in a bunch of modes, but couldn't recreate the bug. Neither could Nintendo, apparently. What's with people running like a doofus in online play? They look like they're shuffling along the ground in an unnatural manner, especially between stocks. Anyone know? Are they repeatedly starting dashes and immediately cancelling out of it? Basically just clicking the stick to one side over and over. What do you guys predict for 3.0? New modes? Home-Run Contest? Stage Creator? SMASH RUN?? Hey, at least let me dream. Or maybe some sort of real co-op mode, like ol' Sub Space was once upon a time. As it is, though, the game is so jam packed any extras are obviously just icing on an already-iced cake. Create-The-Targets Mode! With online sharing. Even just based off of a few static stage layouts. Let the community pick up the slack! With smart leaderboard integration and in-game cash rewards for both creation and play performance, this could be phenomenal. Maaaaybe? But then, infinite stages! Ooo, now I'm thinking about a competitive simultaneous Break the Targets mode. KOs could steal points. 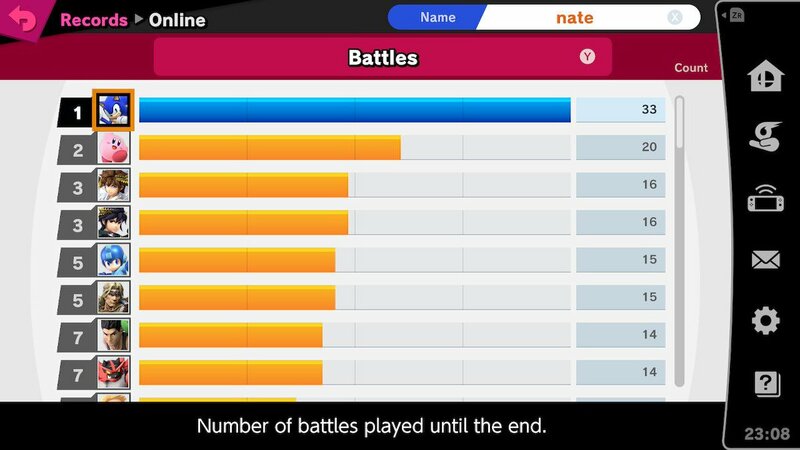 @Anand I would like to see CPUs in friend rooms, the ability to play the co-op Quickplay with an online friend, or other stuff along those lines. At this point, I think that's the only kind of stuff which would get me to pop in this game again. I haven't even yet bothered to check out Piranha Plant. Yea, no CPU online is bogus. The coup de grace flashy effect really does elevate the little things. All right well these guys won the internet for 2019, so see you all next year. Co-op online would definitely be cool. Maybe they'll bring the stage creator back in 3.0, and you can get creatin'!